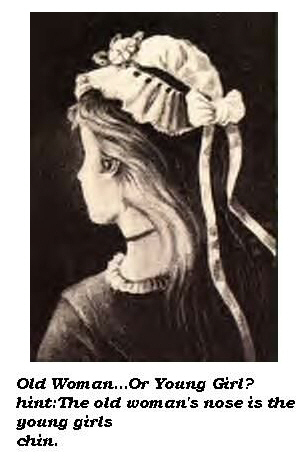 Stare at the left image of the negative Queen for about 30 seconds without moving your eyes too much and then quickly move your vision to stare at the blank white box. See the Queen in normal vision? All Web site design of mizfrogspad.com, and the selection and arrangement thereof , © 2003-2006 by Sandra Keller and mizfrogspad.com. Web site design is protected by US Copyright Laws and cannot legally be used without the written consent of the owner. The copyright of some of the graphics and images incorporated within this Web site are copyrighted by a third party and have been purchased for use on this site. Some others are from the public domain, and all text images were created by the author of this site.